Due to recent advances in pediatric cardiovascular therapy, mortality rates for children with heart disease (HD) have decreased dramatically. Despite these advances, however, survivors suffer from morbidity resulting from their circulatory abnormalities and the medical and surgical therapies they have received. These morbidities significantly impact the child’s neurodevelopmental, psychosocial, and physical functioning and diminish their quality of life (QOL). As a result, outcome assessment focusing on QOL has become increasingly important in this high-risk population. QOL may be described as a child’s ability to function in situational contexts and derive personal satisfaction from doing so. This paper will delineate health measurement definitions including QOL and health-related QOL (HRQOL), identify inherent difficulties in HRQOL measurement in the pediatric HD population, and discuss salient aspects of HRQOL instrument evaluation. 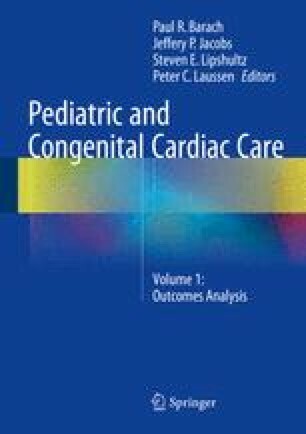 In addition, this manuscript will describe existing generic and disease-specific HRQOL measures that may be used to assess HRQOL in the pediatric HD population, what research on HRQOL in the pediatric HD population has shown, and the extent to which HRQOL evaluations are being fully utilized in clinical practice. A research and clinical agenda is proposed to harness the potential applications of HRQOL assessment. Finally, the relationship of quality of life, safety, and value will be discussed as well as the formation of a quality of life national database.